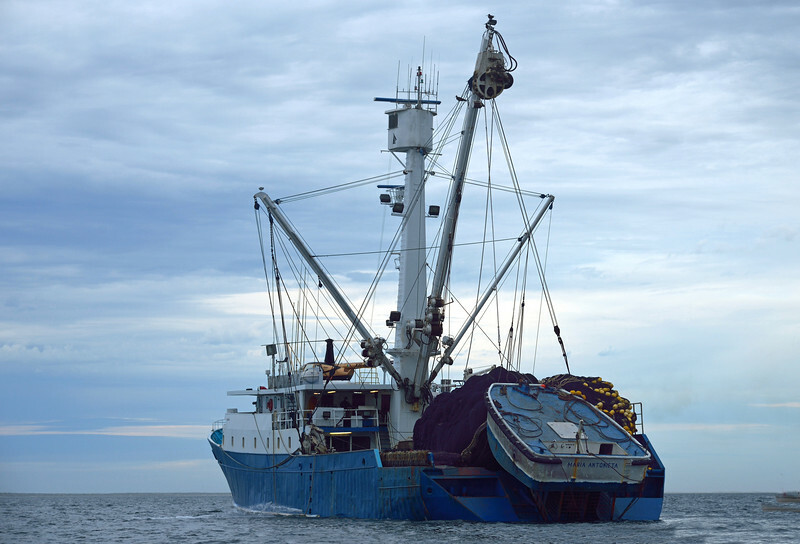 This is a tuna trawler. Note the helicopter. Is it a fair fight to put a tuna up against a helicopter?